(1986/Heanor Record Centre) English, Clothbound (moody blue) with dustjacket, 21.5 x24.5 x 2 cm, 204 pages, many fabulous color photos. 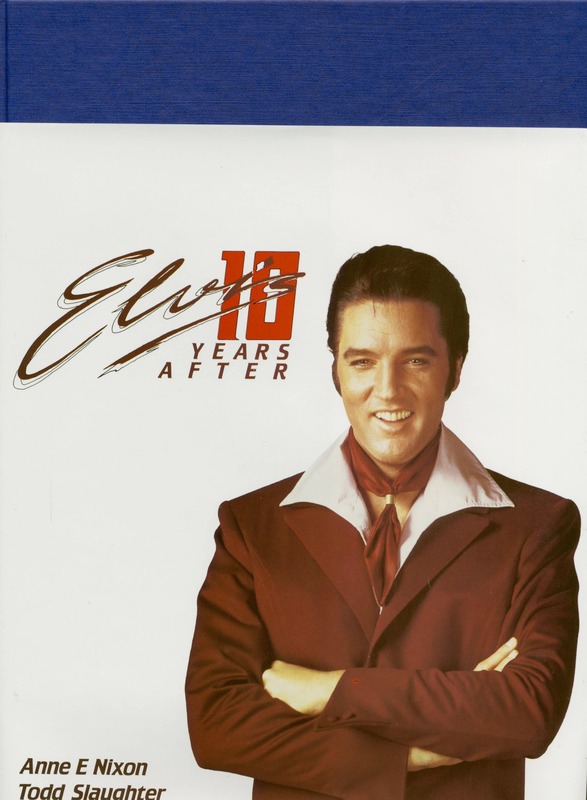 It is 10 years since Elvis Presley died at his home in Memphis, Tennessee. 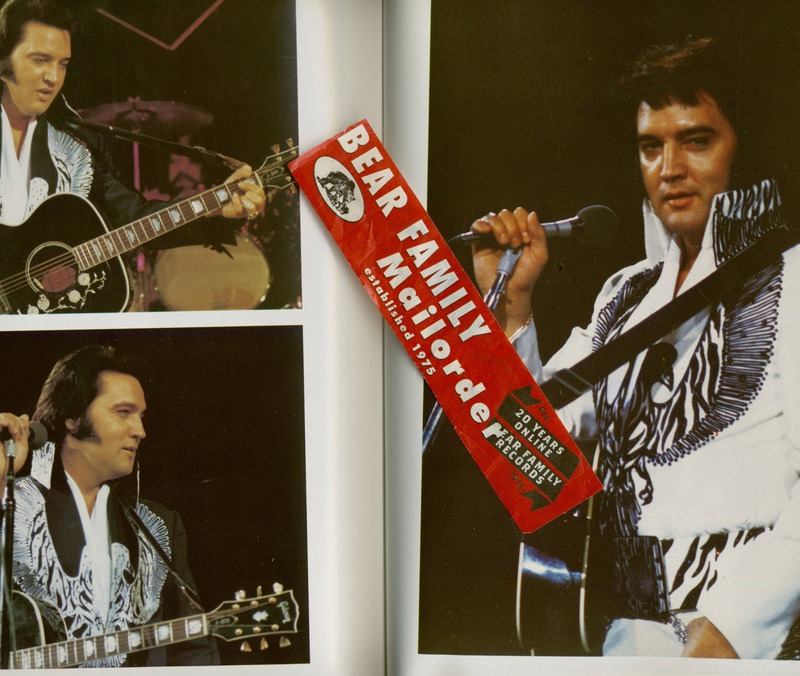 The date of 16th August 1977 is honoured annually by Elvis fans throughout the World. 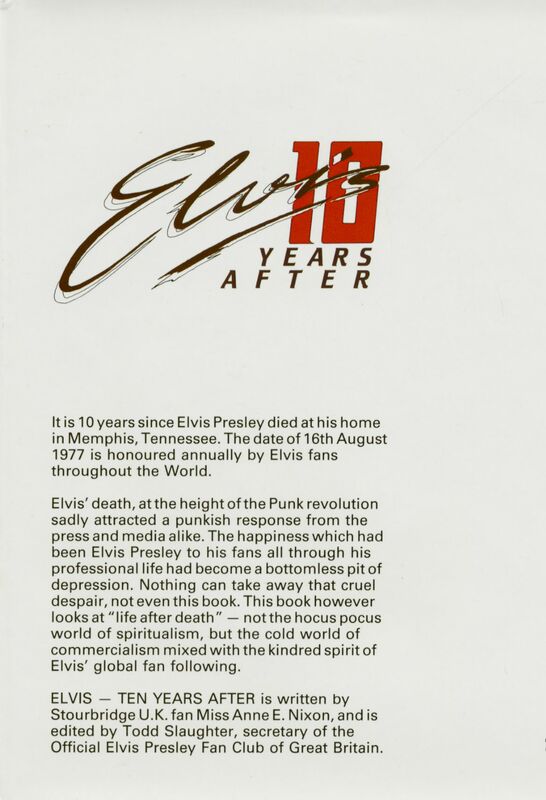 Elvis' death, at the height of the Punk revolution sadly attracted a punkish response from the press and media alike. 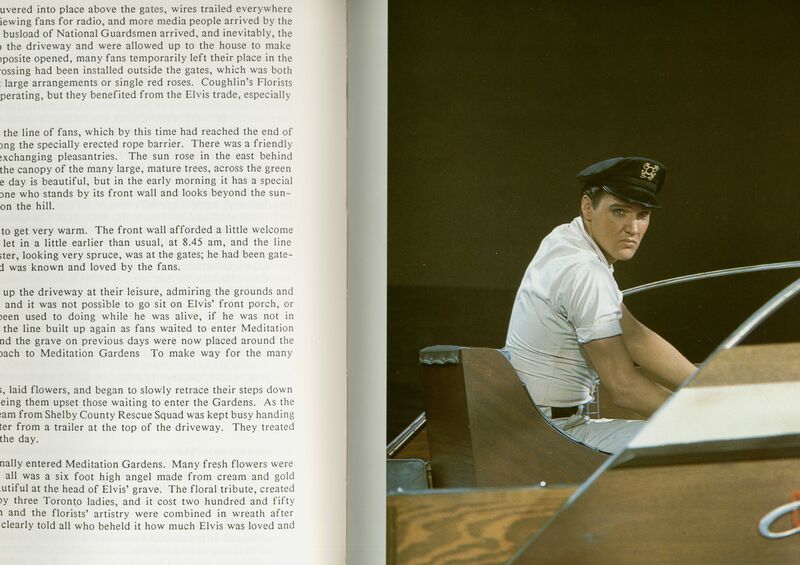 The happiness which had been Elvis Presley to his fans all through his professional life had become a bottomless pit of depression. Nothing can take away that cruel despair, not even this book. 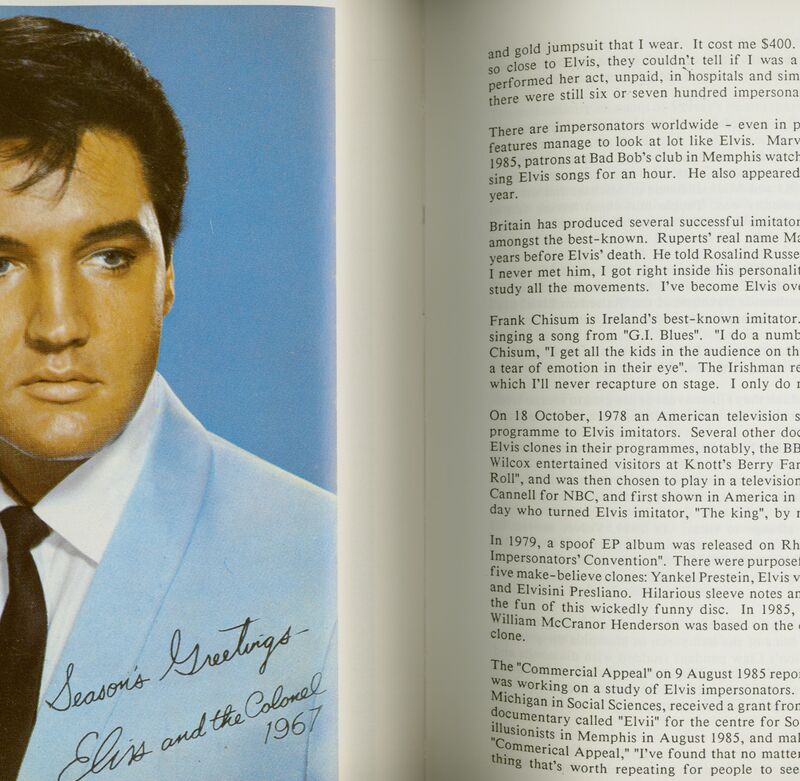 This book however looks at "life after death" — not the hocus pocus world of spiritualism, but the cold world of commercialism mixed with the kindred spirit of Elvis' global fan following. Elvis Ten Years After is written by Stourbridge U.K. fan Miss Anne E. Nixon, and is edited by Todd Slaughter, secretary of the Official Elvis Presley Fan Club of Great Britain. 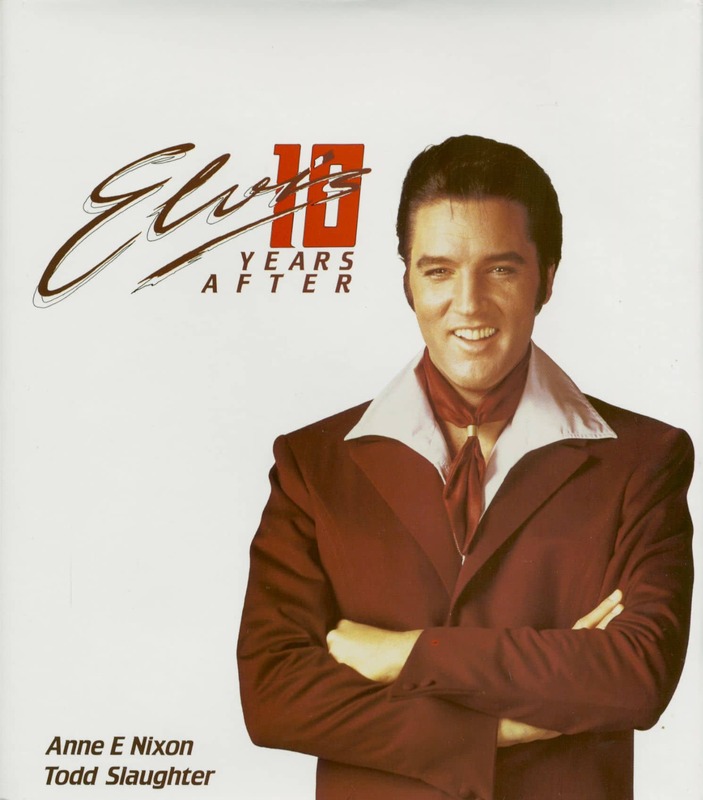 Customer evaluation for "Elvis Ten Years After by Anne E Nixon (Hardback)"